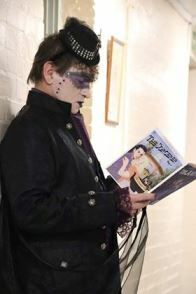 Please mention www.dramagroups.com when replying to auditions. Contact: If you can’t make this date but are interested, please contact the Director, Dave Thompson, d_t_thompson@hotmail.com (4th is a possible alternative in Worcester Park). In this SADC production of Hamlet, we are stressing the timeless nature of the play, by using contemporary costumes and props, while retaining Shakespeare’s wonderful words and poetry. Our adaptation is just over two hours in length, concentrating on the intense drama within the Danish court of Elsinore. This brings out the introspective elements of the play and highlights the question of Hamlet’s madness. Some doubling-up is likely and some parts traditionally played by men are open to being played by women, including Hamlet. This will be a 3-night run in the atmospheric setting of St Mary’s Church in Beddington Park from 27th–29th June 2019. Rehearsals begin at the hall attached to St Mary’s on Thursday 18th April (7.45pm for 8–10) and then on every succeeding Tuesday and Thursday and the first four Sundays of June. (Polonius/Claudius/Gertrude); Act IV, scene 5 (Ophelia’s mad scene/Claudius/Laertes); Act V, scene 1 (Gravedigger/Hamlet/Horatio); other scenes/speeches may be requested/required. From the writer of Doctor Foster and King Charles III (and with a history of being a winner! 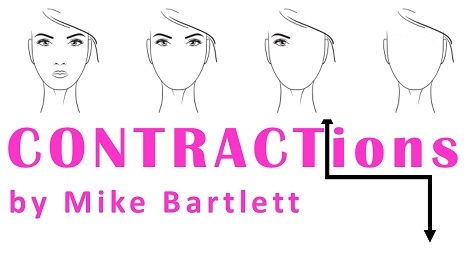 ), Contractions is a dystopian play; a powerful, disturbing, chilling drama about work and play in which the audience are invited to a meeting. Come in. Sit down. How are you? Emma's been seeing Darren. She thinks she's in love. Her boss thinks she's in breach of contract. You do not need to be a member to attend but will be required to join if cast. Details on membership can be found on the BCP website. The pre-audition reading is recommended but is not a requirement for auditioning. Auditions are open to everyone. 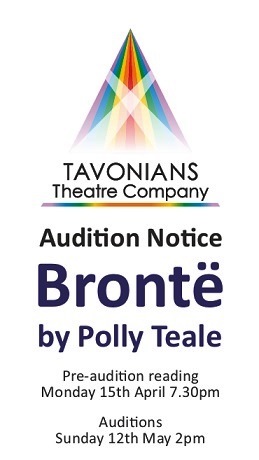 Those who are cast will be required to become a member of Tavonians (see website for details). 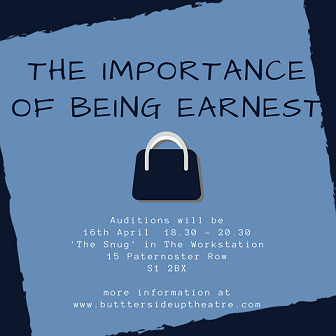 There will be a pre-audition reading on Monday 15th April 7.30pm, for those who are interested to read the play, to help you to decide what parts you might want to audtion for - it's not just a fun reading! 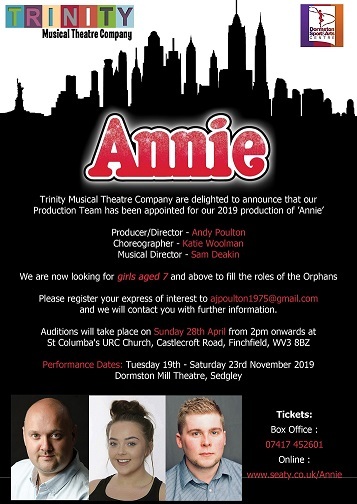 Auditions will be on Sunday 12th May 2pm. Audtions are open to everyone, and potential crew as well as cast are invited to come along. There are six parts in the play. There will be a pre-audi on reading on Monday 15th April 7.30pm, for those who are interested to read the play, to help you to decide what parts you might want to audition for - it's not just a fun reading! Charlotte - who also becomes Jane Eyre from time to time. Emily - who is determined but is o en overruled by Charlotte. Anne - who is the younger and perhaps most mid of the three. The ages of these actresses will very much depend on who wishes to play these parts but I need to ensure the credibility of their rela onships. If possible all three ought to have Yorkshire accents. One actress will play the roles of Mrs Rochester (Bertha) from Jane Eyre, and Cathy from Wuthering Heights. I am flexible on the age of the actor although I think what I have in mind will probably suit the younger person. There are two male parts, Rev Patrick Brontë, but the actor will need to play three other characters, and Branwell, with the actor again playing two other characters. Rev Brontë ought to have a so Irish accent and ideally Branwell should have a Yorkshire accent. This will be a physical production and I would like the cast to contribute as much as possible to the way we stage it. PM (adults only): Other character auditions. Please come along to meet the production team; find out about the production; pick up audition materials; sing along with the fabulous tunes of Rodgers and Hammerstein; and enjoy a chat over a cuppa! Main Company age is 16+, however, younger children can audition for the Siamese Children from age 5 upwards (maximum height 5ft). Those children who are interested should attend the audition on Sunday 28th April at 9am, Rehearsal Room 2, Daneside Theatre, Congleton. Any boys wanting to audition for Louis or Prince Chulalongkorn should attend on Monday 8th April at 7.30pm (venue as above). We are looking to cast these two as aged 12-15. 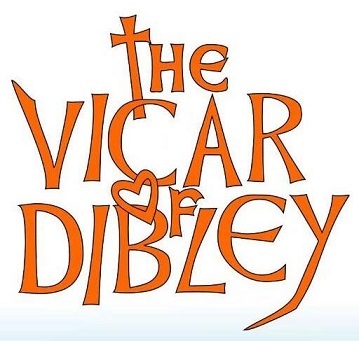 The first of two OPEN AUDITIONS sessions for the Headgate Theatre's autumn production of 'The Vicar of Dibley'. No,no,no,no,no,no,yes they are! The auditions may not be what you expect – just come along prepared to have fun. Shooting dates: 23,24 and 25 April 2019 and one day between April 10 and 15. Every flower blumes, Every person bleeds. Spoisticated, fit, blonde. Has a strong personality, quiet and mostly lonely. She was abused as a child and that fuels her killings. Medium build. Brunette. Police Officer. He's investigating his brother's disappearance. Josephine came from an abusive upbringing that she uses to fuel her series of killings. She lures men to their death. She's like a huntress, suing the gym as her playground. One murder leads her to meet David, a detective working in the city. They get to know each other over the next few days, and David inknowingly stumbles onto who she really is. 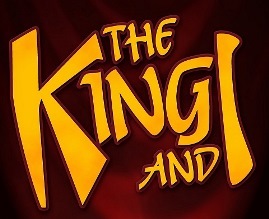 Show week is 14 to 20 July 2019 at Stantonbury Theatre with on stage rehearsals from Sunday 14. Our first night is on Wednesday 17 July. Music and floor rehearsals are planned to start on Friday 12 April at the Hobbyhorse Pre-School, 142 London Rd, Stony Stratford, Milton Keynes, MK11 1JH and will be supplemented by Wednesday rehearsals at Christ Church, Stantonbury Campus, MK14 6BN. Interested in being in our production of "The Sorcerer" this July? The show will be set in the 1940s with Graham Breeze directing (Graham directed our recent production of ‘Iolanthe’) and it is planned to be a full-scale production with an orchestra. We offer part-year subs of £50 (£45 unwaged) if you want to join us for this show. 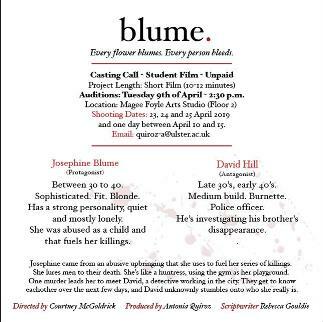 We're still looking for people to audition for some roles, especially the younger adults. We are holding auditions on Sunday 14th April at Uppermill Methodist Church and still need some younger people to audition for the following roles. If you're not free on the 14th, then don't worry, other arrangements can be made. Acting: Great character role needing someone who can show Motel’s sensitive, nervous but loveable character. Must have good comic timing and the ability to show vulnerability. Motel is the meek and very poor village tailor. He seeks the hand of Tevye’s eldest daughter Tzeitel. He must challenge the tradition of parents choosing a mate and in the process comes into his own by standing up for his feelings for Tzeitel. Acting – Strong acting skills. Actor must show intensity and an unfailing commitment to his radical beliefs. He should be able to hold his own against Tevye as he clashes with him idealistically. He is also likeable, charming and ultimately an accepted part of Tevye’s family. Perchik is a visitor and outsider to Anatevka. He brings with him radical views that challenge traditions. Perchik and Hodel (Tevye’s second oldest daughter) fall in love and again challenge Tevye’s beliefs. Fyedka is a Russian soldier who falls in love with Chava, Tevye’s third oldest daughter. 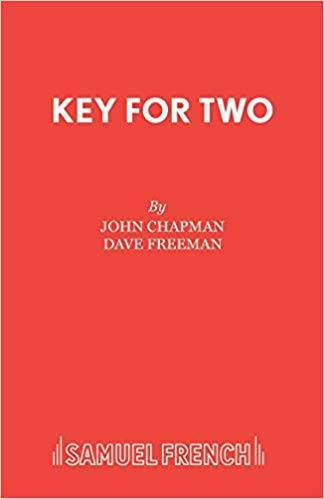 He and Chava elope because Tevye cannot accept this total break in Jewish tradition. Tzeitel is the first daughter to challenge tradition. She is madly in love with Motel, The Tailor and in a desperate crying scene persuades her father to let her marry Motel in spite of the fact that Tevye has made her a match with Lazar Wolfe who is old enough to be her father. Hodel becomes involved with Perchik and eventually leaves Anatevka to be with him in Siberia where is imprisoned for his reform activities. She and Perchik defy tradition by not asking permission to wed, only Tevye’s blessing. Hodel sings the haunting solo Far from the Home I Love as she says goodbye to her father at the train station. Movement: Ballet and/or Lyrical Modern dance training preferred. Chava is Tevye’s scholarly, middle daughter who loves reading. She falls in love with the Russian soldier Fyedka and elopes with him. This huge break from tradition breaks her father’s heart and Chava becomes dead to him. 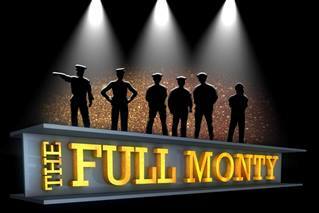 Sunflower Productions invite you to audition for The Full Monty The Musical, taking place in February 2020 at the Electric Theatre Guildford. All proceeds will go to the Urology department at the Royal Surrey County Hospital in Guildford. The Auditions will be a combination of workshops and individual auditions to a panel. You will be required for the full 4 hours. Additional opportunity to audition for gender blind production of Richard III. Performance dates late July at various venues. Contact: Please register your express of interest to ajpoulton1975@gmail.com and we will contact you with further information. We are now looking for girls aged 7 and above to fill the roles of the Orphans.